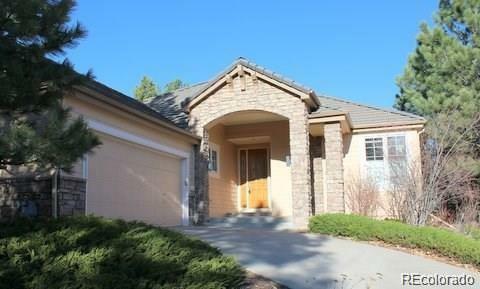 Stunning Main Floor Master in Desirable Castle Pines Village! Ranch Plan with Extensive Hardwood Floors. Open Kitchen with Granite Counter Tops & Custom Cabinets. Stainless Steel Appliances including Double Ovens, Microwave and Fridge, Gas Cook Top. 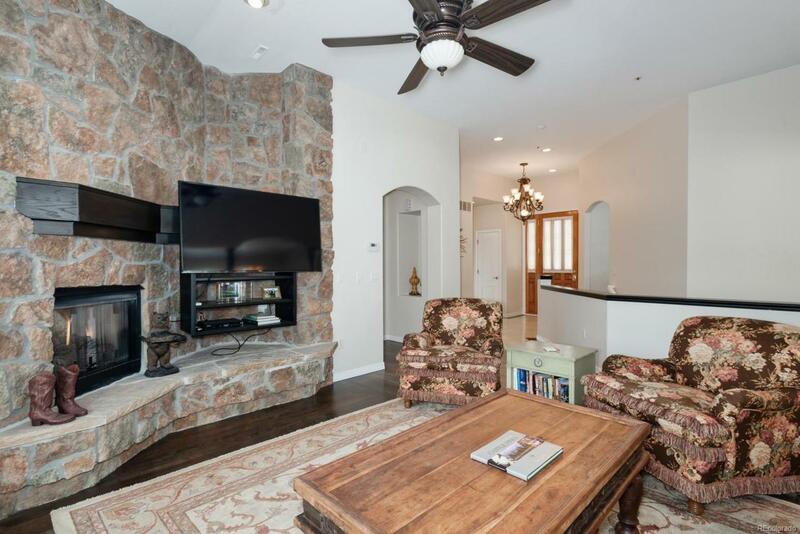 Kitchen Open to Hearth Room with built-Ins and Rock fireplace. 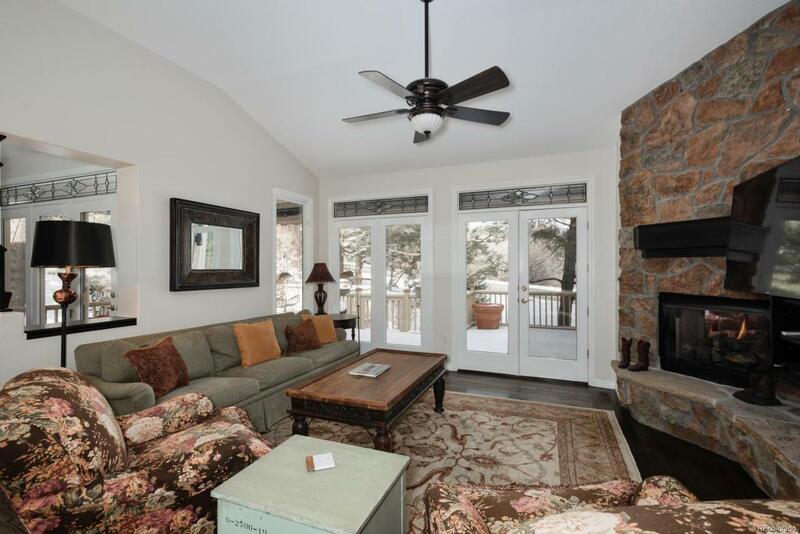 Formal Dining Room, Great Room with Rock Surround Fireplace. Master Suite with Fireplace, Access to Deck, 5 Piece Master Bath with Walk-In Closet, Main Floor Study with Built-In Cabinets. Finished Lower Level with with Wet Bar. 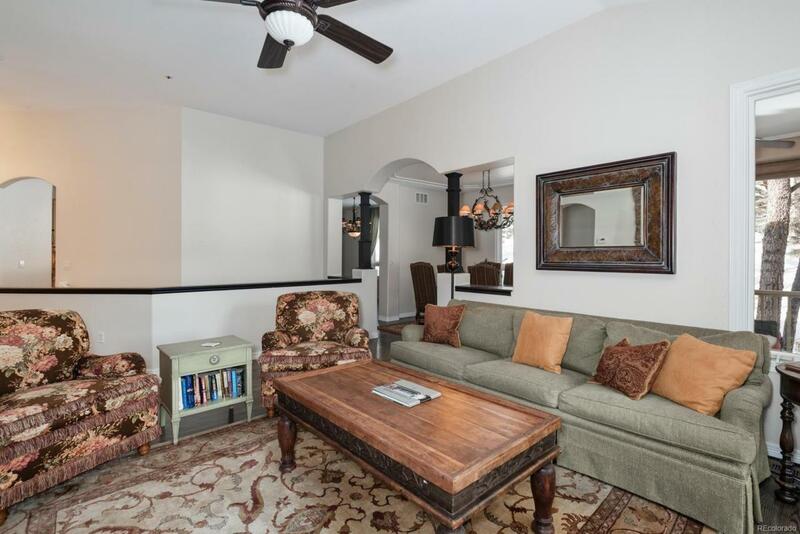 Entertainment Room, 2 Bedrooms and 2 Custom Built Bath Rooms. Large Private Deck with Electric Retractable Awning. Over Sized 2 Car Garage with Numerous Built in Cabinets, Finished Garage Floor, Access Door and Windows. Security System, Private Cul-De-Sac Location. Security Guard Entrance, Walk to Fine Dining and Shops. Don't miss the Opportunity to Live Nestled In the Pines of a Enclave of homes that rarely come on the market to purchase.